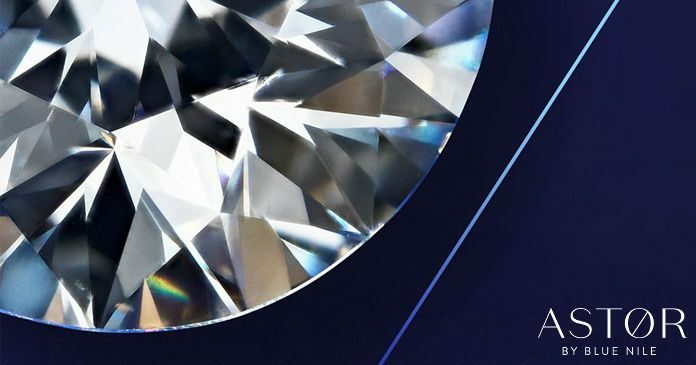 If you like diamonds, you should definitely enter this sparkling Sweepstakes for a chance to win an Astor by Blue Nile Diamond that will captivates the eye and lights up the room. A grand prize worth $10,000 that could be yours if you participate by January 4, 2018. Astor by Blue Nile Diamond Fall 2017 Sweepstakes is open to legal residents of the 50 United States and D.C., Canada (excluding Quebec) and the United Kingdom, who are 18 years of age or older or the age of majority in their jurisdictions of residence (whichever is older) as of date of entry. The Sweepstakes Period begins at 12:01 p.m. PT on October 1, 2017 and ends at 11:59 p.m. PT on January 4, 2018. During the Sweepstakes Period, visit www.bluenile.com/jewelry-sweepstakes and follow the instructions to complete and submit the registration form to receive one entry into the Sweepstakes. Limit of one Entry per person/email address throughout the Sweepstakes Period. The Grand Prize winner will be selected in a random drawing, conducted on or about January 18, 2018 from among all eligible Entries received throughout the Sweepstakes Period. The potential Grand Prize winner will be notified at the e-mail address provided during registration. The Grand Prize consists of an Astor by Blue Nile Diamond. The ARV of the Grand Prize is USD$10,000. For the name of the winner, available after February 18, 2018 (for a period of at least 30 days), visit www.BlueNileSweeps.dja.com. Blue Nile, Inc. 411 First Ave South, Suite 700, Seattle, WA 98104, United States.